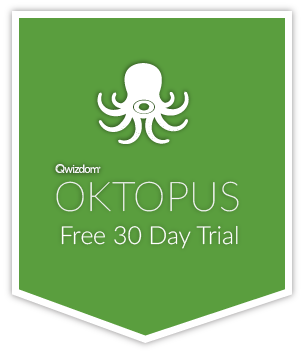 Qwizdom OKTOPUS version 4.4.43 has been released! OKTOPUS will now use Microsoft’s handwriting capabilities (if installed on your system) for the currently selected language within OKTOPUS. Previously, OKTOPUS may have been using your system default language, which may not have been correct. This was a sticking point for our global user community. Thanks for the feedback! We’ve made improvements when dealing with locked objects, importing audio is faster, and the selection box can deselect when dragging the opposite way. We’ve also fixed a few bugs with the audio tool and fixed some layering issues too. New Feature – OKTOPUS will use Microsoft’s handwriting capabilities (if installed on your system) for the currently selected language within OKTOPUS. Requires restart of OKTOPUS after the language is changed.